This post is part of the Friday Commentary. In this series every Friday experts will shine a light on the digital industry. Where are we heading, what is going on and how should we approach this as decision makers? In this commentary we are talking about finding a new job with Laurent Boninfante. After an exhilarating 3.5 years setting up and running the European operations for Acquisio, my Canadian employer and I went our separate ways in February. I am savouring this rare opportunity to take a pause and enjoy pursuing personal (and, of course a few semi-professional) projects, whilst appraising what the Digital job marketplace has to offer. When I was last in a similar situation, in September 2009, having returned from a year travelling the world, I immediately updated my CV, enrolled with a few digital recruitment agencies and waited for them to propose jobs while re-igniting my network connections. In the end, my network proved the most reliable and I landed a great job at Kenshoo through a connection made in a previous role. Surely, I thought: more than 5 years on there will be new ways to find out which companies are recruiting for which roles; there will be more transparency, perhaps even removing the need for intermediaries…. right? Job boards – probably one of the most traditional channels, job boards used to cater fairly well for our Digital Advertising industry. Back in the day, the defunct New Media Age job section provided a clean, up-to-date list of jobs. The site closed down in 2012 and some of its assets, including the job board, were taken over by e-consultancy. Just like many similar “Digital” job boards, 90% of the positions listed there are via recruitment agencies, so you may need to take some twists and turns to find out the detail – like, who the employer actually is. Perhaps the personal networks some back into play again… Some other job boards worth checking out for the UK are Only Digital Jobs, Chinwag, The Guardian (appropriate sections such as Marketing) to name but a few. Recruitment agencies – whatever your personal experience of them may be, there is no denying that digital recruitment agencies have a prominent place in our ecosystem and most employees are likely to have had at least one job, at some point, that a recruitment agency helped to source. To be candid, the quality and professionalism of recruitment agencies vary immensely. Having been party to both sides of their service, as an employer as well as a candidate, I have been impressed at times, but have unfortunately seen some agencies’ practices that were at best questionable if not downright unethical. As a candidate, your CV is your most valuable asset. Before sending it out, make sure that there is a genuine role that the agency can put you forward to as a candidate. A common practice for recruiters is to collect CVs and prospectively contact employers touting your CV as a hook to get a paid agreement rather than because there is really a potential match. Leaving you disappointed and having wasted your precious time. Companies’ own websites – if you already know which companies you would consider working for, it is worth checking their career websites. Most companies nowadays publish their job openings there. However, where it is usually true for starter- to mid-level roles, it is not always the case further up the hierarchy: for confidentiality reasons, many companies are unlikely to advertise their more senior roles on their websites and prefer to use executive recruiters or their own employees’ networks. The above synergy coincides neatly with Digital Advertising roles which are mostly sales led, and at the mid-level in this salary bracket. LinkedIn, with its relative transparency, diverse content and ease of use, is obviously a key resource you should be using when looking for a new role in our industry. What’s more, the split between Direct Employers and Recruitment agencies’ ads is much more balanced than the one on job boards allowing you to deal directly with employers in many cases – gold dust for job-seekers! 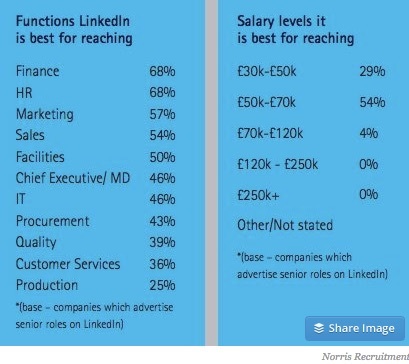 The same study does however conclude that it is less suited for senior roles though, with only 31% of polled companies advertising senior positions on LinkedIn. Your own professional network – Undoubtedly the most valuable asset to find out about new job opportunities, your network also contains your strongest advocates when referring you to potential new employers. Whether past clients, suppliers or colleagues, throughout your career it is obviously helpful to spot key influencers who understand and respect what you have to offer, and to maintain good relationships with them. Those people are the ones that you should approach first when searching for new opportunities as they can often allow you to discover positions before anyone else does, or signpost those that are hard to seek out through other means. I have to conclude that recruitment in Digital still looks pretty much as it did five years ago: your professional network is your first port of call. But, don’t forget that LinkedIn is an important resource to supplement this channel,and keep an eye out for new players that might bring us more of this transparency and direct contact with employers. The network remains the most valuable resource for any Digital professional, especially if you are considering a move up to senior level, but as I look around at what is on offer, it seems to me that it is a breath of fresh air to have the option to forego the intermediary sometimes and get straight down to what the candidate and employer both want. Laurent Boninfante is an online marketing specialist with 10 years working in Account Management and New Business in the UK digital industry, a fervent Android mobile user and a Apple Mac computers enthusiast. 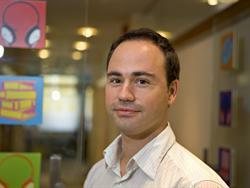 Laurent spend 8 years in Paid Search have included roles spanning strategy, new business and account management.